I was saddened to learn of the passing of Dr. Nicolaas Bloembergen. Today I will be looking back at some of my interaction with him and I will continue this in a few more posts in future weeks. At the end of this post is the email I sent him right after he talked with me on the phone. 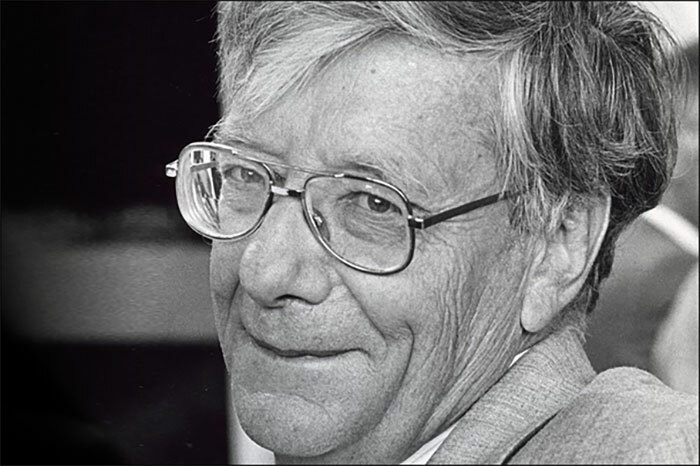 Nicolaas “Nico” Bloembergen (March 11, 1920 – September 5, 2017) was a Dutch–American physicist and Nobel laureate, recognized for his work in developing driving principles behind nonlinear optics for laser spectroscopy. During his career, he was a professor at both Harvard University and later at the University of Arizona. In the first video below in the 9th clip in this series are his words and will be responding to them in the next few weeks. Nicolaas Bloembergen, the Dutch–American physicist who shared the 1981 Nobel Prize for Physics, has died at the age of 97. Bloembergen died on 5 September following complications arising from a heart attack. Born in Dordrecht, the Netherlands, on 11 March 1920, Bloembergen studied physics at the University of Utrecht. He graduated in 1943 with a Phil. Drs degree – equivalent to an MSc – just before the occupying German forces closed the university during the Second World War. Although he was not Jewish, Bloembergen spent two years in hiding from the Nazis. He later told the Nobel Foundation that during this time he ate tulip bulbs to fill his stomach and read the Dutch physicist Hendrik Kramers’s book Quantum Theorie des Elektrons und der Strahlung by the light of a storm lamp that needed cleaning every 20 minutes. In 1945 Bloembergen moved to Harvard University. Two years later he returned to the Netherlands to the University of Leiden, where he was awarded a PhD in physics in 1948 for his work on nuclear magnetic resonance. In 1949 he went back to Harvard, where he remained for the rest of his career. In the 1960s Bloembergen began to develop the theory of nonlinear optics in which photons interact with each other through some mediating material, such as transparent crystal. A common nonlinear optical phenomenon is “four-wave mixing” where three waves are sent into a nonlinear medium and the exchange of energy and momentum between the waves results in the production of a fourth wave. This method made it possible to generate laser light in both the infrared and the ultraviolet, extending the range of wavelengths that could be used for laser spectroscopy. Bloembergen shared half of the 1981 Nobel Prize for Physics with Stanford University physicist Arthur Schawlow “for the development of laser spectroscopy”. The other half went to Kai Siegbahn from Uppsala University in Sweden for his work on high-resolution electron spectroscopy. In 1991 he served as president of the American Physical Society. Nicolaas “Nico” Bloembergen was born on March 11, 1920 and died on September 5, 2017. He was a Dutch-American physicist and Nobel laureate, recognized for his work in developing driving principles behind nonlinear optics for laser spectroscopy.During his career, he was a professor at both Harvard University and later at the University of Arizona. It was such a privilege to get a telephone call from you on July 1, 2016 because I know your time is very valuable. Since you said writing letters and mailing them was difficult for you I have chosen to email you this time around. Let me agree with you that the majority of Muslims in the USA are lovers of freedom. Here in Arkansas we have family friends who are Muslims and they were personally troubled by the recent attacks by Muslims on unarmed civilians. In every other religion we have to do something–everything from burning a joss stick to sacrificing our firstborn child to dropping a coin the collection plate–the whole spectrum. But with Christianity we do not do anything; God has done it all: He has created us and He has sent His Son; His Son died and because the Son is infinite, therefore He bears out total guilt. We do not need to bear our guilt, nor do we even have to merit the merit of Christ. He does it all. So in one way it is the easiest religion in the world…. In the book WHATEVER HAPPENED TO THE HUMAN RACE?, and especially in the extensive notes of fifth chapter [shows] the way the Bible measures up to history. Once we say that, this is very exciting. It is very exciting because other religions are not founded in history, they are “out there” somewhere, or you can think of them as inside your own head–whichever way you are looking at it. On the other hand, the Bible claims to rooted in history. Taking a look at the holy books of Islam and Mormonism and you find many historical inaccuracies. For instance, the Book of Mormon was wrong about horses, cows, steel, honey bees and barley existing in North America 2000 years ago. Furthermore, in 2012 during the Presidential Race Harry Kroto also asked why no one seemed to ask Mitt Romney if he actually believed that Christ visited North America 2000 years ago as the Book of Mormon claimed. Blaise Pascal asserted, “There is a God-shaped vacuum in the heart of every man which cannot be filled by any created thing, but only by God the Creator, made known through Jesus Christ.” In other words, the spiritual answers your heart is seeking can be found in putting your faith and trust in Jesus Christ. The Bible is true from cover to cover and can be trusted. Let me close by talking to you about the ROMAN ROAD TO CHRIST. Thanks for your time. Again it was such an honor to get to talk to you. I hope you enjoy the CD’s on Michael Polanyi. He was a very wise man and his son John is a very outstanding man too.